I read an article today that really hit me. It really encapsulated the changing mental focus that I am working on. "The deprivation diet - characterized by ‘just-until-I-lose-this-weight’ thinking - is another enemy of weight loss. It causes us to alternate between extremes of ‘on diet’ and ‘off diet’ behaviour." Um, hello! I am so guilty of this. I put so much faith in being thin. Everything would work out, if I was thin. My credit card debt would disappear, if I was thin. I’d meet the love of my life, once I got thin. I just had to eat this cardboard, until I got thin. It was a VERY dangerous mental cycle for me. No wonder it never worked. When I had this mentality, I would constantly put up roadblocks to getting fit because I loathed my body and didn’t truly love who I am. Once I forgave myself and stopped trying to find fault in who I was, I began to start the true journey of being my best self. I’ve always had a decent support system around me. For the most part, my friends and family are very encouraging and express the utmost faith in me. What I’ve come to realize is the most critical element was missing from my support system: self-support. Looking back on all my past attempts at weight loss or getting healthy, I don’t think that I ever truly believed in myself. How could I do anything but fail when I set myself up for failure every time? Love for ourselves and others is so essential in this healthy journey. 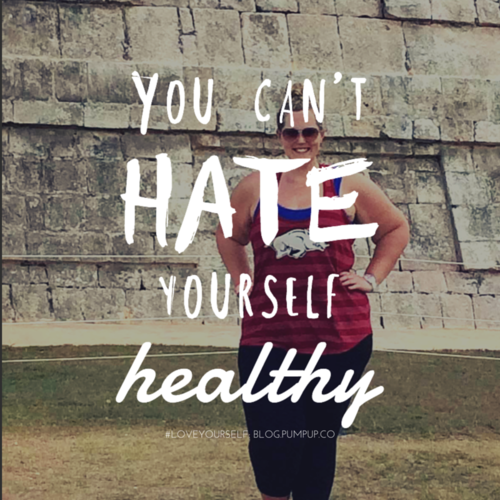 I recently read a line that said, “You can’t hate yourself healthy.” I took this to mean that you can’t bully yourself into getting healthy. I was so guilty of saying,” Geez Kaycee, you are such a fat lose. Why can’t you just stick to this diet?” I would never talk to someone that way, so why would I speak to myself that way? It has become so important to nurture and cherish my body for the marvel that it is. Because I love myself, I am going to do fun, physical activities to stay fit and feel young. Because I love myself, I am going to nourish my body with clean, healthy foods (most of the time). Being healthy is not just in the physical. 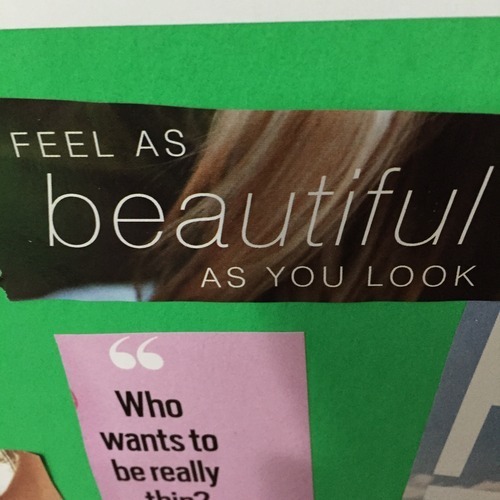 It is so important to work on mental health and having a positive self-image. Me and my body are not enemies and the sooner I stop thinking that, the sooner we can work together to become one lean, mean, healthy-awesome machine. "All that we are is the result of what we have thought. The mind is everything. What we think, we become." - Buddha. Think something positive about yourself today. For me, life is just better when you love yourself. We fight so many battles every day. Why make yourself one of those battles?